Domino: this magazine lists gifts by price, including a whole section of cute things under $1. And there are separate lists of art books and do-it-yourself gift projects. Real Simple: All of the gifts on this list are under $50, and they have separate lists for moms, husbands, kids, and all the people on your list. Lucky: Who better to turn to than Lucky for shopping lists? Every gift on their list is available for order online, and costs less than $50. Design Sponge: This is one of the best blogs for well-designed ideas and products. They haven't come out with their 2008 gift guide, yet, but here is the link to all of last-year's guides. InStyle: This magazine has gifts for all the different people on your list, and a special section of gifts that "give back". New York Magazine: A comprehensive list of well-designed presents for the New Yorkers in your life. People: People hasn't published their picks, but they did create a list of discounts for their readers at popular online retailers. Enjoy! these are great! 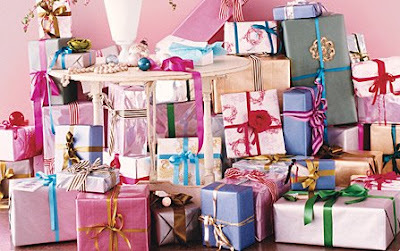 I thought you might like this gift list from Cookie Magazine too: http://www.cookiemag.com/homefront/tips/2008/holiday_ideas. Great for those with kids, nieces, nephews, or pregnant sister-in-laws! Who knew there was organic play dough? !